Have you ever wanted to take a break where you can simply scuba dive all day, every day? Or maybe you’re interested in learning or advancing your dive training and need all the dive experience you can get? These are just a couple of the reasons to go on a diving liveaboard. From a few days to a couple of weeks, you can choose a liveaboard boat to suit your needs, your budget, your timing and to get some precious diving experience under your belt. Here at The Adventure Junkies, we want to help inspire you and make the most of your underwater exploration. 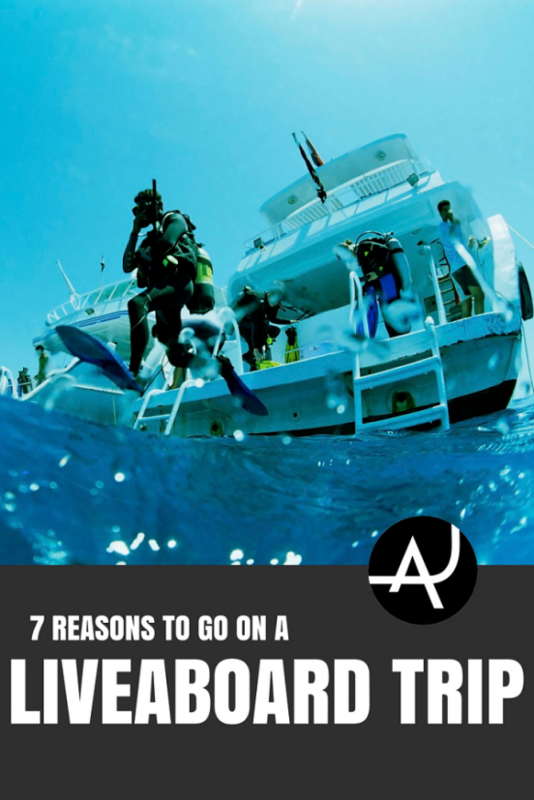 In this guide, we’ll show you the top reasons for going on a dive liveaboard as well as a video on how to pack for a liveaboard trip. Many liveaboard boats offer divers the chance to upskill or advance their training. 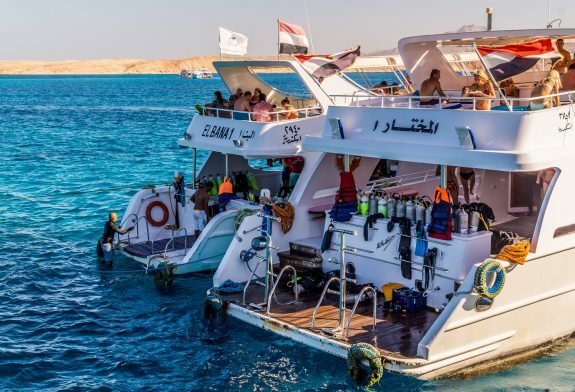 So if you need to complete a certain number of dives before your next step up the diving ladder, such as becoming a Dive Master, then a liveaboard gives you a great chance to dive everyday while gaining new confidence and skills. Perhaps you’d love to get into underwater photography? How about nitrox diving? Or maybe you want to finally go from Open Water to Advanced Open Water? Many liveaboards offer these specialty training programs which means you can gain the next level certification in a shorter time. Different liveaboards work with different agencies such as PADI and SSI. 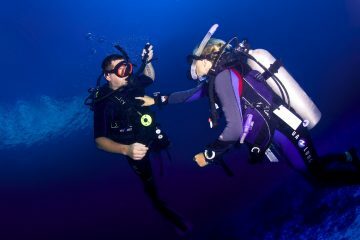 If you want to stick with one agency, you can choose the liveaboard which offers training through it. So, be sure to check what each boat offers. Not all liveaboards offer the same training opportunities so if advancing your dive education is one of the key reasons for going on a dive liveaboard, then look for a boat with the appropriate certifications and your preferred agency. 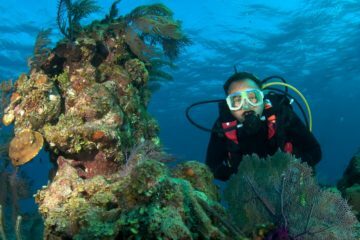 Many new divers often want to know how to gain more confidence scuba diving. The truth is, the only way to really feel more at ease underwater is to get out and dive, dive and dive again! Practice does make perfect, after all. On a liveaboard, you’ll be diving two to three times a day, every day, if you wish! This means it’s the fastest way to gain confidence, experience and skills underwater. Plus, you get to discover exciting new dive spots every day and even get the chance to try different types of diving. You might even end up doing a drift dive one day and a night dive the next. Did you know that over 70 percent of the earth is made of water? That means, if you only ever discover new countries on land, you’re missing out on nearly three-quarters of what the planet has to offer. Scuba diving is a fantastic way to explore a new country. Each country is diverse, with many different topographies. Some dive sites might have lots of caves, caverns and pinnacles, while others may have incredible coral wall and impressive reef systems. Some countries, such as Thailand, have a wonderful variety of incredible dive spots on either side of the landmass. 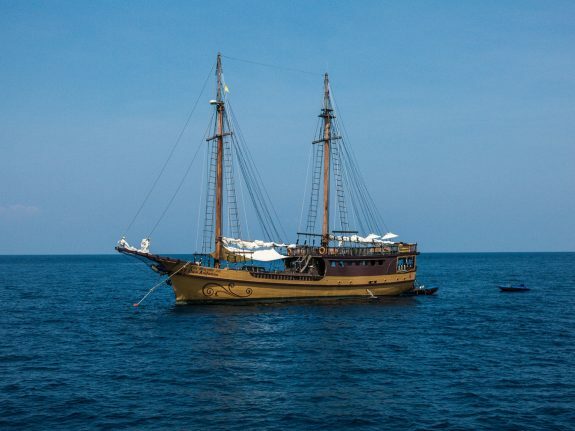 A dive liveaboard allows you to thoroughly explore the underwater landscape of a new country. The more you dive, the more familiar you’ll become with different fish and marine species. Joining a dive liveaboard can introduce you to many more species that are unique to different parts of the world. If you’re diving in one location multiple times, you will begin to recognize certain types of fish faster and with greater ease. It’s one thing observing beautiful species, but it’s another to be able to accurately name them. A dive liveaboard can also increase the chances of you being able to have some of those special encounters with larger species such as manta rays, whale sharks or hammerhead sharks. While there are areas which these species are most likely to be found, there are never any guarantees that you will definitely see them on one dive. Diving at the right time of the year will help, but it would also take a bit of good luck when it comes to being in the right place at the right time. By diving an area multiple times on a liveaboard, you raise the likelihood of floating alongside some of the world’s most magnificent creatures. This is definitely an experience which many people can only dream to have. Let’s be honest. 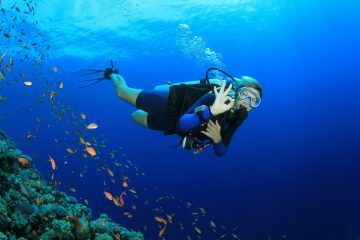 Scuba diving is not the cheapest hobby in the world especially when it comes to diving off a boat. But, liveaboard diving can be a cost-effective way to travel and get in some precious diving experience. They’re often all-inclusive which means your upfront cost includes your accommodation, your meals, snacks and all diving. When you consider what you’d usually spend on your travels and multiple dive trips, a liveaboard can work out to be just as cost-effective, if not cheaper. Of course, there are many different types of liveaboards ranging from budget to luxury options. Expect to pay more if you want hot tubs and massage parlors on board versus more basic accommodation offerings. Some destinations are also more expensive, regardless of the boat. Diviac, a scuba diving booking agency, has compiled a list of the world’s most luxurious dive boats for you to drool over. 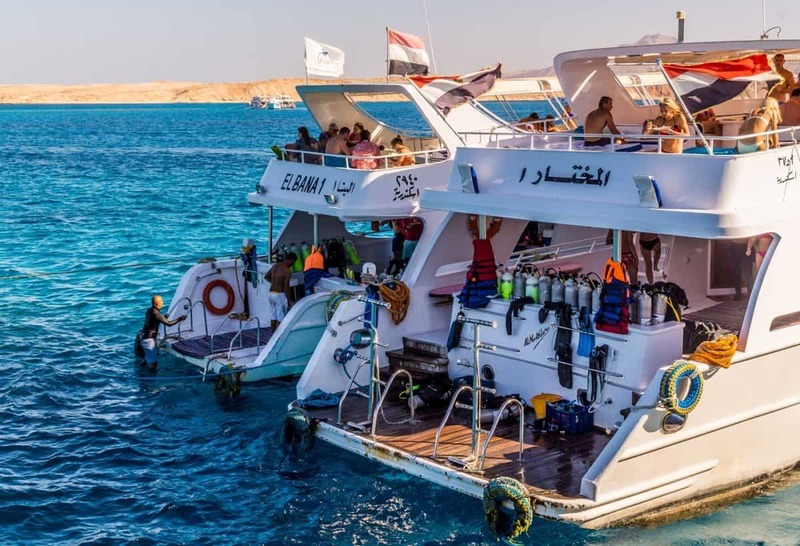 One of the beauties of going on a dive liveaboard is the opportunity to head out to remote dive spots, which are usually inaccessible by smaller boats used by dive resorts. Your liveaboard boat can take you out to areas where few others are able to access. Diving remote areas often mean the sites are more pristine, less polluted and less damaged, meaning more fish and marine species can be found. You can reach sites with better visibility due to the lack of pollution from river run-off or rubbish on the land. Some places, such as the Tubbataha Reef and the Galapagos Islands, can only be accessed by boat. One of the more fun aspects of any dive holiday is about the people you meet along the way and the friends you make. On a dive liveaboard, you’ll be eating, sleeping and diving with new, friendly faces, all sharing in the same exciting adventure. A liveaboard is a great way to make new friends from different parts of the globe. Who knows where you might end up in the future needing a local dive recommendation?